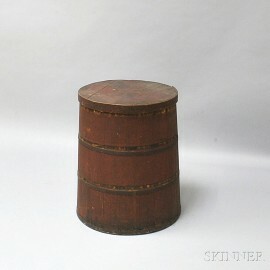 Red-painted Stave-constructed Barrel, 19th century, ht. 25, dia. 19 in.